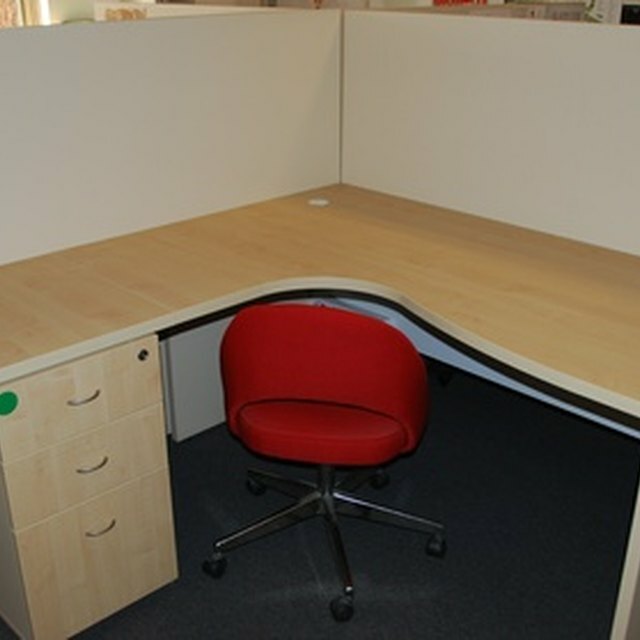 Cubicles are a fact of work life, and having coworkers so close to you throughout the day can inhibit your productivity. Noise in particular is one of the more distracting elements coming from the cubicles around you. While you can’t completely block out voices and sounds from the other workers in your office, there are ways to lessen the interruptions that they cause. Talk to your coworkers if the noise level around you reaches an unbearable level. Explain that you have a lot of work that must be finished and you find it difficult to concentrate. They might not even realize that they talk particularly loud or often, and they are likely to be willing to alter their ways. Enlist the help of white noise to drown out the office chatter. Buy a fan and place it on your desk or in your cubicle; the humming sound can lessen the noise around you. Wear headphones and listen to music. For some, office chitchat can be more disturbing than music; listening to music through headphones can make it so that you do not hear others talking at all. Wear earplugs. If you find music to be disturbing to you along with the talking, then use earplugs that block out all noise, which can help you to concentrate on your work better. Ask your coworkers to put their cellphone ringers on silent. Hearing office phones ring along with numerous cellphones can be extremely disruptive. Discourage others from using the speakerphone setting on their phones. Hearing an entire conversation between two people can be worse than hearing just one person talking.